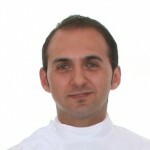 Dr Can Huseyin, qualified at Guys Dental Hospital in 1990 and has been in general practice since 1993. Prior to that Can has been in hospital based posts in Oral and Maxillofacial Surgery. Can is married to Hulya and has three young children. Of Turkish descent, they infuse strong family values into the practice philosophy of good treatment always, honesty, open handedness and approachability. Can shares his time, outside working hours, participating enthusiastically in post graduate education programmes within and outside the British Dental Association and Association of Dental implantologists, time with his family and trying to keep up with commitments to the health club, golf club and his saxophone.